BEIRUT: A suicide car bombing on Tuesday killed 14 newly reconciled fighters from pro-government and rebel ranks in an attack on a south Syrian village claimed by the militant Islamic State group. The Britain-based Syrian Observatory for Human Rights said the explosion hit Zaizun, a village in the western countryside of Daraa province which rebels agreed in recent days to hand over to regime control. At least “14 regime and opposition fighters who recently reconciled were killed in a suicide car bomb attack targeting a military position in Zaizun,” said Observatory head Rami Abdel Rahman, giving an updated toll. IS claimed responsibility for the attack in a statement posted on the Telegram messaging app, saying the car driven by a suicide bomber had been packed with explosives. Zaizun lies near a sliver of southern territory controlled by Jaish Khaled bin Walid, a jihadist faction that has pledged allegiance to IS, which is not bound by the deal between the rebels and the government. Abdel Rahman said it was likely that this faction was responsible for the attack, adding it was the first suicide bombing targeting regime forces since they launched an offensive on Daraa. Backed by Russia, Syrian troops began a bombing blitz of Daraa province on June 19 that killed dozens of civilians and displaced more than 320,000 people. The onslaught came to an end on Friday, when Moscow brokered a deal with rebels for them to surrender their weapons and hand over towns to government troops. Rebels and Islamist forces killed more than two dozen pro-government fighters in a joint attack in a northwestern stronghold of Syrian President Bashar al-Assad’s regime, a monitor said on Tuesday. 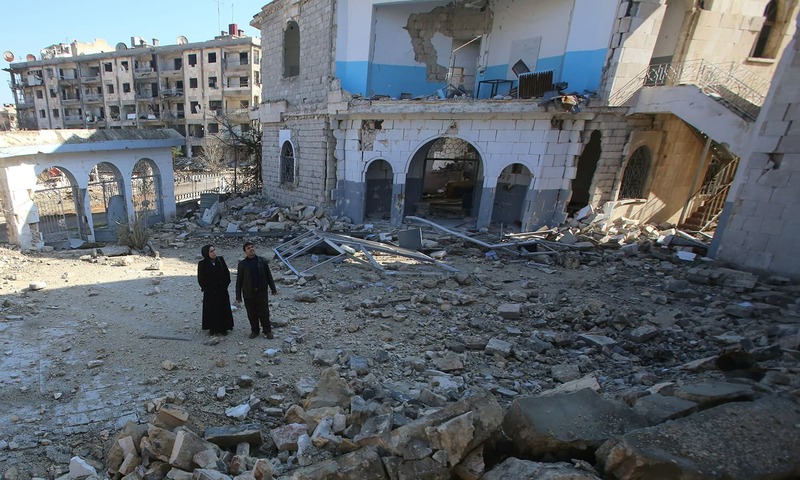 In retaliation, the government and its ally Russia pounded rebel-held areas in the coastal province of Latakia and neighbouring Idlib on Tuesday, killing four civilians, the Syrian Observatory for Human Rights said. It was the bloodiest opposition assault on the area in three years, according to the Britain-based monitor, which relies on a network of sources inside the country. The surprise offensive late Monday targeted a pair of villages and observation points in Latakia, near the Turkish border.